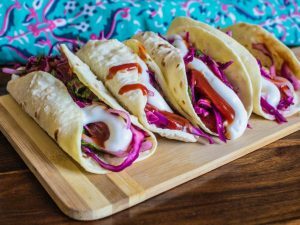 By cooking the beef for these tacos in a slow cooker, the meat will have plenty of time to get extra tender and also absorb all of the flavors of the sauce. 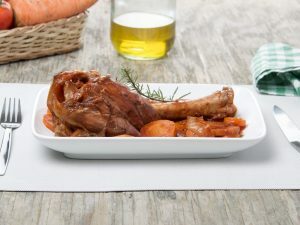 Set up the ingredients in your slow cooker in the morning and you will come home in the afternoon to a delicious smelling house and an amazing meal, ready to go! While this recipe is not overly complicated, the flavors shine through after cooking for a full day. 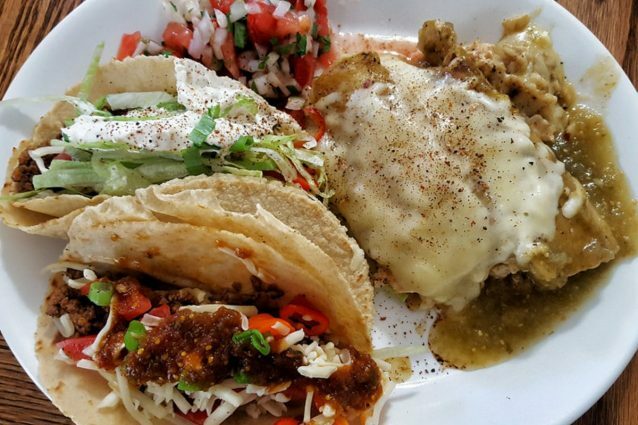 Try adding sliced avocado or hot salsa to the tacos for a little bit of a change. Season the steak with salt and pepper and sear both sides on high heat in a large skillet with the olive oil. Place the browned steak into the bowl of a slow cooker and add the onions and cilantro. Add the garlic and chili powder to the slow cooker as well. Add the diced tomatoes along with the beef broth to the slow cooker and stir everything together. 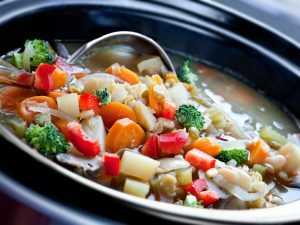 Place the cover on and set the slow cooker to low heat. 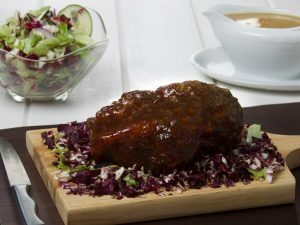 -If you would like your braised beef to be ready sooner, turn your slow cooker to high heat and cook for 4-5 hours. 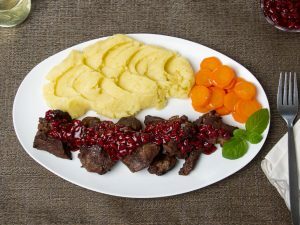 The beef might not be quite as tender as when it is cooked on low heat but it will still be delicious! -This meat is also great in a burrito! Use a large flour tortilla to wrap the braised beef, rice, black beans and cheese. Heat in the oven or quickly microwave and enjoy!